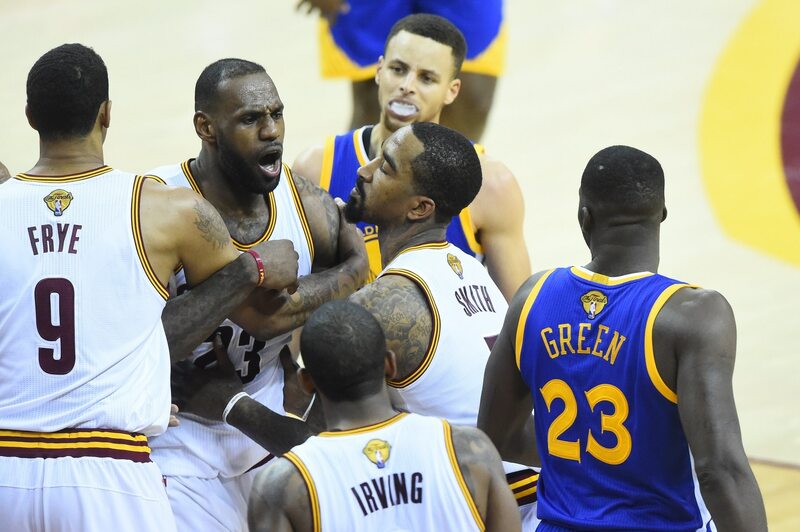 Draymond Green and LeBron James got into it during Game 4 of the NBA Finals. We all saw it. But did you realize Green actually tagged James right in the jewels? Already tagged with a nut-smacking fiend label, thanks to a couple of incidents in which Green kicked Steven Adams of the Oklahoma City Thunder during the Western Conference Finals (watch here), Green was at it again Friday night. Perhaps now we know why James got so heated after the fact. Now, the first two shots on Adams during the WCF could have easily been explained away as accidents. But this? This was intentional. It had to have been. Green was looking right at James’ undercarriage when he executed the perfect backhand to James’ walnuts. At this point the biggest question remaining is this: Will the NBA view this in a similar light? And if so, will Green be banned from playing in Game 5? Stay tuned, folks. Nuggetgate is about to get real.